Today’s topic will speak to all of the history buffs in the family: the race to become the first man to reach the South Pole. In 1910, two teams, one from Norway and the other from the United Kingdom, set out on an expedition to produce the first man to stand on the South Pole. Norwegian explorer Roald Amundsen led the first team and a Royal Navy officer, Robert Falcon Scott, led the second team. Both teams made it to the South Pole, but their individual stories are quite different. 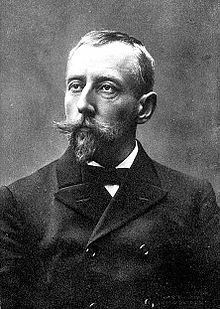 Amundsen was the first to reach the South Pole, in December of 1911, and was also the first to make it back home safely. Scott also made it to the South Pole (33 days after Amundsen, which he did not find out about until he reached his destination) but unfortunately, his entire team died on the journey back from the South Pole. Quite a disappointing outcome! The reasons for why Amundsen succeeded and Scott failed are many: Amundsen, unlike Scott, was more effective and meticulous in his planning (He only stopped to take two pictures during his entire trip, which is incredibly difficult to imagine in our age of Facebook and Instagram), had appropriate equipment and clothing, and relied on dogs for his transportation over motor sleds which lacked proper testing in 1911. But one of the main reasons that separated Amundsen from Scott was his approach in his physical preparation. Scott based his physical prep schedule on the weather; meaning, if the weather was nice, he pushed his training to exhaustion, but if the weather was poor (Which, believe it or not, happens quite often in Antarctica), he stayed put and waited for “appropriate” training weather to return. Sounds logical? Well, not so much as he spent three weeks held up inside his tent during a storm just to push himself too far when the weather cleared up. Amundsen, on the other hand, committed himself to traveling 20 miles every day. Bad weather, 20 miles. Good weather, 20 miles. No more, no less. The result? He lived! Not only did he live, Amundsen returned to his base camp 3 days earlier than expected. Scott? Not so much. Now, how does this relate to fitness? You have to do your prescribed workload every day. Do not wait until the New Year or next spring to start training. Start today! Of course, by the same token, it is not wise to overtax your body by going straight for 4 hours out of nowhere. But remember that you have to put in the time to get the results that you desire. By doing your 20 miles a day, you will reach your personal South Pole in no time.